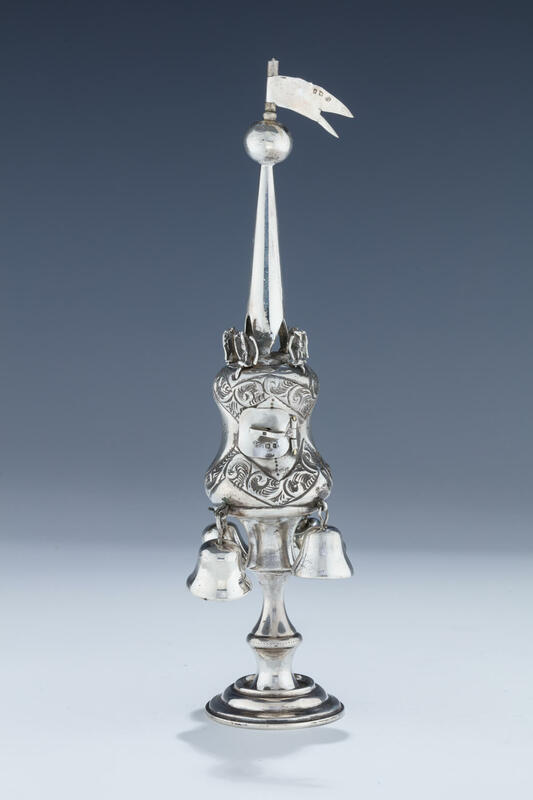 A STERLING SILVER SPICE TOWER BY JACOB ROZENZWEIG. London, 1920. On round base with spool shaped body fitted with four eagles. Engraved with former owner’s name Herman and date of December 14, 1920. 9.2” tall.